Its his second honor from the Queen, who named him Commander of the British Empire, or CBE, in 2006. The new title will be conferred by the touch of a sword held by the Queen. Interestingly, Ive is only one of two people being given this particular title this year, from the extensive list of other honors published in the London Gazette. (Ive’s name appears on page 24 of the announcement; there’s a PDF of that page here.) The other KBE recipient is the art historian John Patrick Richardson, who wrote a well regarded biography of Pablo Picasso. The best profile of Ive that I know of is this 2006 BusinessWeek story by my former colleague Peter Burrows. It’s more than five years old, and so may be a bit dated, but it’s terrific. The full announcement from the British Embassy is below. Jonathan (Jony) Ive has been appointed by Her Majesty Queen Elizabeth II a Knight Commander of the Most Excellent Order of the British Empire (KBE). The honour, for the lead designer at Apple Inc. of products like the iPod and iPad, was part of the New Year 2012 Honours List and was in recognition of Jonathan Ive’s services to design and enterprise. British Honours are bestowed on merit for exceptional achievement or service to British interests. This is the second royal honour for Ive, who was awarded a CBE (Commander of the British Empire) in 2006 for his achievements in British design and innovation. The current Knighthood recognises his work on raising design standards generally in consumer, industrial and professional goods and for his championing of British design. 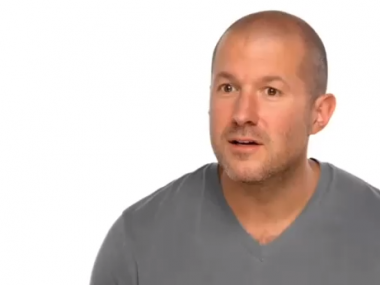 Jonathan Ive becomes Sir Jonathan Ive, and the knighthood will be conferred by the touch of a sword by Her Majesty The Queen. 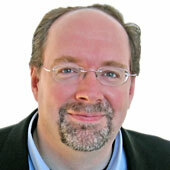 London-born designer Ive is the Senior Vice President of Industrial Design at Apple, reporting directly to the CEO. Since 1996, he has been responsible for leading a design team widely regarded as one of the world’s best. Ive has demonstrated a life-long commitment to design. He has been recognized with numerous design awards including being named Designer of the Year by the Design Museum London and awarded the title Royal Designer for Industry by The Royal Society of Arts. Ive holds honorary doctorates from The Royal College of Art, The University of Arts London, the Rhode Island School of Design (RISD) and Northumbria University (Newcastle Polytechnic) where he also received his Bachelor of Arts degree. He holds 596 design and utility patents in his name. After graduating in 1989, he co-founded the London design agency Tangerine, where he designed everything from washbasins to televisions. In 1992, he moved to Apple and, after the return of Steve Jobs in 1997, became Senior Vice President of Industrial Design, designing the first iMac in 1998, its progressively sleeker successors, and then the iPod, iPhone and iPad. The Queen chooses the recipients of Honours on the advice of the Prime Minister and other relevant ministers, to whom recommendations are made by their departments or members of the public. Private nominations–those made by individuals or by representatives of organisations to the Prime Minister’s Office–can also be made and account for about a quarter of all recommendations.